The tilt sensor is a component that can detect the tilting of an object. However it is only the equivalent to a pushbutton activated through a different physical mechanism. 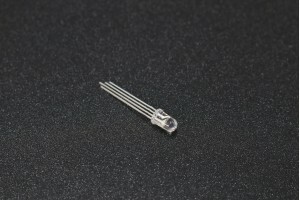 This type of sensor is the environmental-friendly version of a mercury-switch. It contains a metallic ball inside that will commute the two pins of the device from on to off and vice-versa if the sensor reaches a certain angle. · High sensitive angle switch SW-520D as the sensor.